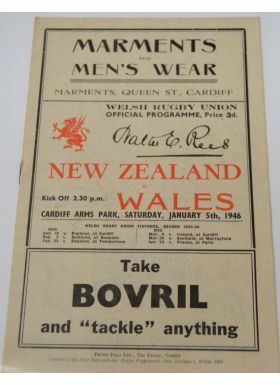 1946 Wales v New Zealand 'Kiwis' Rugby Programme: Famous game and quite scarce programme for this Cardiff game against the cream of the New Zealand Services still stationed in the UK at the war's end, and touring memorably. 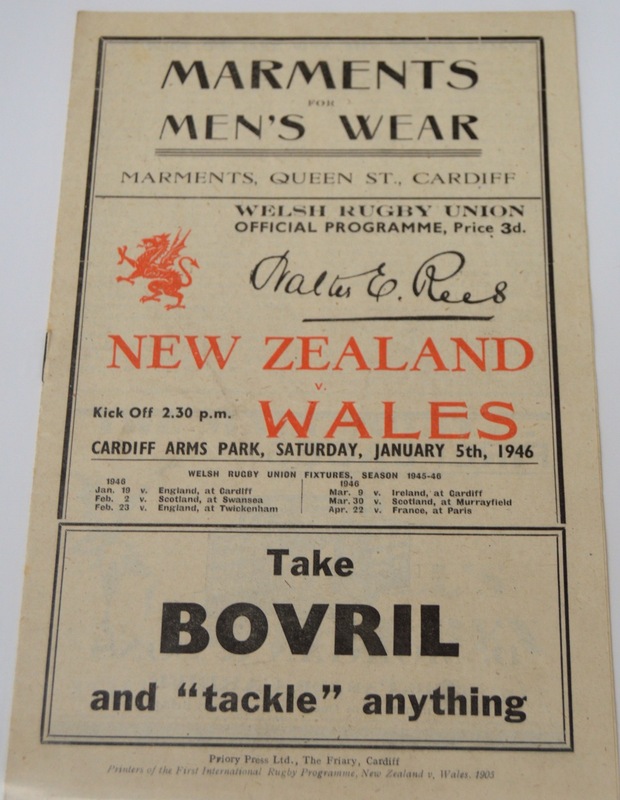 Kiwis won 11-3. Excellent condition.